Aluminum panels are typically produced from 90% or more recycled content. Steel panels vary by supplier, but usually contain at least 10% recycled content. Both types of metal will last for decades and are 100% recyclable after use. Asphalt shingles, on the other hand, are produced from petroleum products and are typically 19-36% asphalt by weight. Asphalt shingles have to be torn off and replaced every 15-25 years. Approximately 11 million tons of asphalt shingles are discarded each year, with most being sent to landfills. Many insurers offer discounts for metal roofing; sometimes connected with hail or wind performance rating. Since programs will vary by insurer and location, check with your local agent. While asphalt shingles will absorb and retain heat from the sun, metal panels (particularly those with light colored paint coatings) will reflect and emit heat away, resulting in lower cooling costs. Several studies by the Florida Solar Energy Center indicate a reduction in cooling costs between 10 and 25%. As always, individual results will vary. 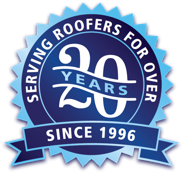 While a shingle roof generally has a lower installed cost than a metal roof, this is really only a low “initial cost.” When considered over the life of the structure, metal roofing will often prove to be the better option. Durability alone makes this argument: if a shingle roof has to be replaced in 15-20 years while a metal roof can stand strong for 30-40+ years (some ongoing studies indicate 60 year + life spans), you will have to buy two shingle roofs instead of one metal roof. Of course no roof can completely withstand all the force of nature. However, studies and damage reports conducted by/for FEMA, NHC/NOAA, and FBC over the years consistently indicate that shingle damage from hurricanes is fairly common, while metal roofs tend to perform very well.